If you feel like you need some inspiration come and see the work. It’s always amazing! 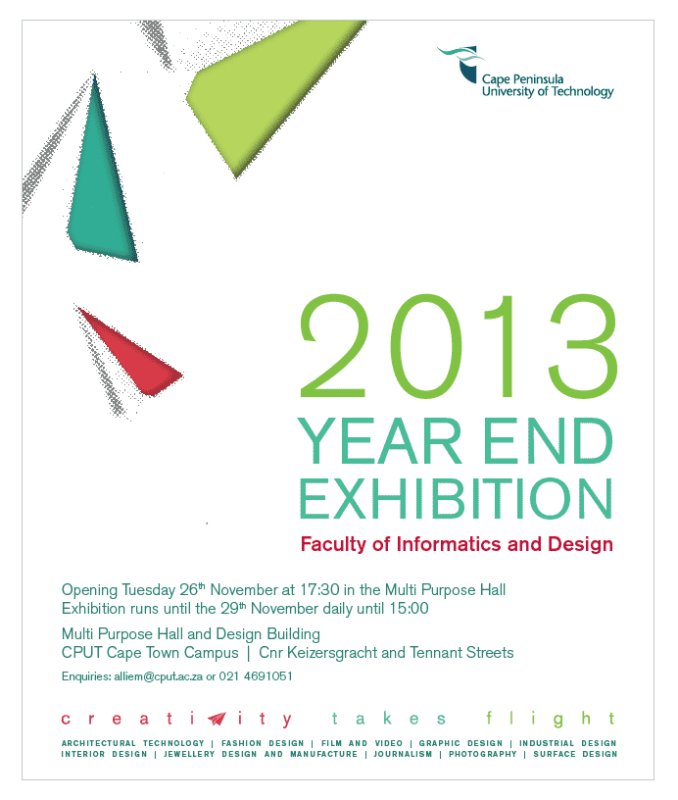 This entry was posted in Blog and tagged 2013, architecture, Cape Peninsula University of Technology, cput design exhibition, Fashion, foundation, Graphic Design, industrial design, interior design, jewellery design, Photography, PR, town and regional planning, video.